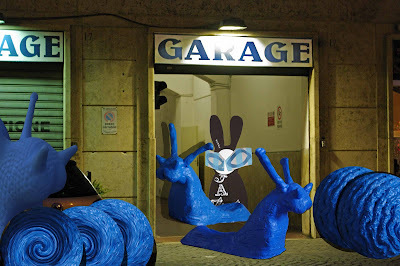 At a small garage not far from the Testaccio Market, the Wabbit and Big Blue Snail worked until night. 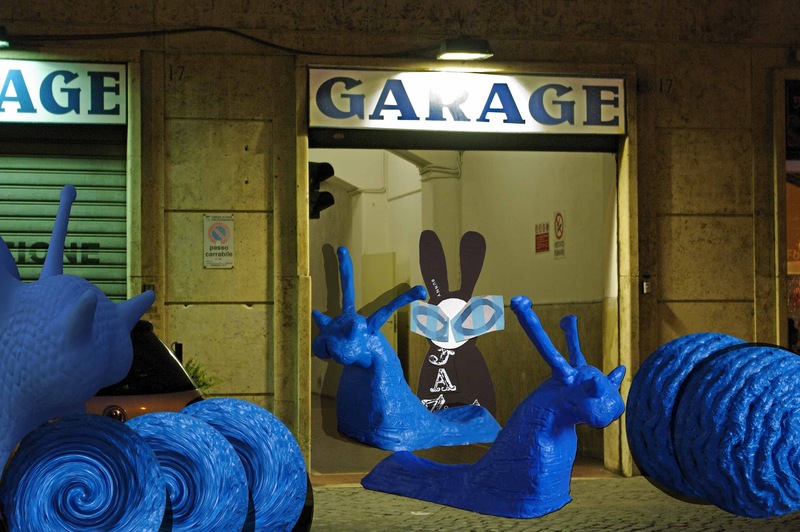 The Wabbit aimed to improve the power and thrust of the MoTo Snails, whilst Big Blue Snail sought to enhance their slime production. They were seeing moderate success. "I'm increasing your power," said the Wabbit. "Excellent," said To. "To what end?" said Mo. "Speed and manoeuvrability," said the Wabbit. "Won't power make us go faster?" asked To. "To go faster you have to transfer your power to the road," said the Wabbit. 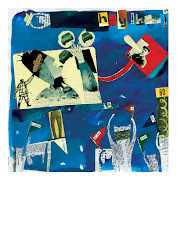 "Your traction is critical," said Big Blue Snail, "otherwise you will spin round and round on your own slime." "Cool," said Mo and the Snails' antennae wiggled in delight. Big Blue Snail gave them a withering look and thought for a moment. "I need to make diet adjustments," he said and he vanished, quickly returning with a mixture of fruit, leaves, kale and mulberry. "Oh, do we have to?" asked Mo. Big Blue Snail added lettuce, artichoke, celeriac and tomato. "Mmmm, we have to," said To. "May I add something," said the Wabbit, delving in his fur. "Of course," said Big Blue Snail. The Wabbit took out a small packet and he added a homeopathic sprinkle. To and Mo wolfed the food with delight. "What's the added ingredient?" whispered Big Blue Snail. "Nitro," said the Wabbit. "Let's lay slime," said Big Blue Snail.